Education in general and university education in particular in every society is obviously known to bean indispensable toolfor nations’ economic growth and development. 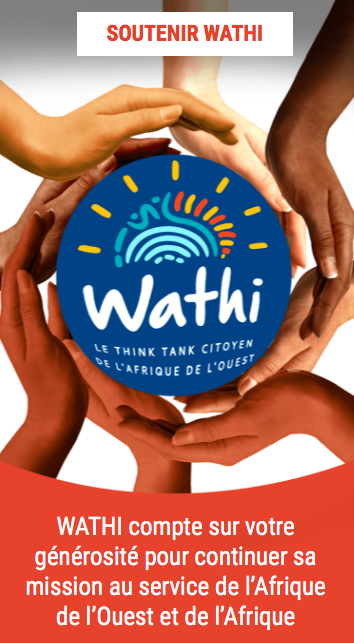 It has been empirically proven anduniversally acknowledged that unless the citizens of a given country are well educated and appropriately trained, the achievements ofrapid economic and social development cannotbe guaranteed (Ahmed 2013). It is acommon knowledgethat the world over, universities are enterprise that produce anddistribute public good, which is knowledge. As asserted by Babalola (1998), the production of knowledge by universities has always focused on teaching, learning and research, hence, it is believed that university education is a major investment requiring a huge amount of financial resources, thus funds allocated to university education are said to be long term investments of immense benefits both to the individual and to the society. A representative sample of (15) universities out of 128 universities was selected for the study. The criteria used in the selection were; (i) location (North/South) (ii) ownership/proprietor (Private/ Public) the public universities consist of federal and state universities. Using the above criteria, 15 universities were selected to represent private, state and federal universities in Nigeria. The 2010/2011 total expenditure and budgeted allocation to various units of the institutions as presented in 2010/2011estimate submissions of the universities to National Universities Commission (NUC) was used for the estimation. From the period under study, it was in 2008 that the education sector had the highest proportion of recurrent expenditure to the total national recurrent expenditure which is 13%. It was 11.56% in 2006 and 7.6%in 2011. These are far fromthe 26%recommended by the UNESCO to bespent on education. With the population growth rate of 2.65% in every ten years expectantly the sectorial allocation to education should at least follow the same trend if the growth in education (expansions in school enrollment) should accommodate the population growth of the country. Nigeria cando better if smaller African countries canallocate something close orabove the minimumUNESCO bench mark. For instance, Ghana 31%, Cote d’Ivoire 30%, Uganda 27%and Kenya 23%(Kpolovia&Obilor2013;World Bank 2012;Odiaka 2012). These findings agree with what Kpolovia&Obilor (2013)said that Nigerian government is not providing enough resources to finance education in general and higher education in particular. This also goes in line with what Ijaiya and Lawal (2010) said that the budgetary allocation to education sector in Nigeria has been inadequate to meet the demand of the sector. They further postulate that Nigeria’s government spending has been totally inadequate or that the amount purported to have been expended on education was not actually spent. Olaniyi and Adam (2002) also agree with the above submission and postulate that government expenditure on education and the share of total spending to the Gross Domestic Product (GDP) have been declining. This poor funding of the education in the country is said to be partly responsible for the poor performance of the sector and its contribution to the GDP, per capita and other human development indicators. 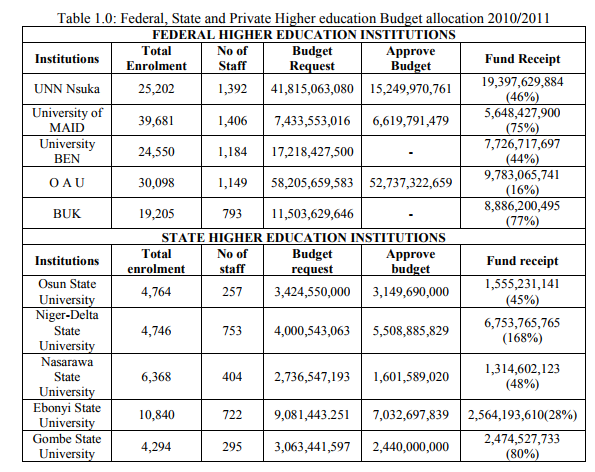 Table 1.0 illustrates the total enrolment, number of staff, budget requested, and budget approves and the money receipt by various universities in Nigeria. This shows clearly the shortfall between budget requests, budget approves and money receipt by various universities in Nigeria. It shows clearly that irrespective of the type of institutions, funds to various universities are not adequate. What the institutions requested is not what is given to them, this is more revealing in the government own universities. There does not appear to be any particular correlation overtime in terms of resource allocation to individual universities. This may indicate that universities base on their ownership status can in fact vary their annual allocation of resources to eventually achieve greater consistency with the shape of their objective and strength. It can obviously be inferred from table 1.0 that there is a wide gap from what the universities requested, what is budgeted and at the end what is approve and released by the proprietors of this universities. It is thus clear why universities have not been meeting their target objectives in producing a given quantity of graduate with a high quality. This also agree with Okebukola (2006) said that funds allocated and release to higher education institutions in Nigeria is still not enough to run the institutions. Graduate taxes have also been considered to be another source of financing university education in the developed Asian countries. According to Tilak (2008) a graduate tax is an educational specific tax to be levied from those who use educated manpower. Manpower produced by the education system isused by all sectors in the economic activities. In most of the countries in the world pubic finance of higher education is out of general tax collected as revenue. In this paper therefore, ear marked taxes like the graduate tax has been identified as another source of generating additional revenue from private and cooperate individuals who benefited from the human capital produce by the universities. Table 1.2 gives a hypothetical example of how a university can have additional fund from the introduction of graduate tax. The basic argument is that private employers who employ higher educated labor force should be required to share the cost of producing the human capital. According to Ogbogu (2011)revenuesupplement strategy is apreferred route tofinancial viability of universities. It includes university entrepreneurship such as renting of university facilities aswell as commercial marketing of research discoveries, universities/industry collaboration, sale offaculty services, consultancy, introduction of specialized and marketable teaching and scholarship, establishment ofguest houses, bookshops, petrol stationsetc. Universities in Nigeria are not doing well in terms of generating enough revenue outside the government sources to supplement what the government is providing. According to Okebukola (2006), government alone cannotfunduniversity education because of the increasing cost of delivery in university education brought about by a combination of high enrolment pressures, resistance of institutions to adapt more efficient and productive financial management styles. Funds from proprietors constituted 78%of the total funds available to universities in Nigeria. The State government owned university relies the most on their proprietors for funds (90%of total funds are from the government) this is followed by the Federal government university in which 64.8%of the funds is from its proprietor whereas the private university depends the least on its proprietor and relies more on other alternative sources of funding. The cost of graduate production is the highest in the private university (US$9,168) and the lowest in the State owned university (US$ 4,835). The low unit cost observed in the public universities could be due to the low level of funding by the government and also the increase in student enrolment which was not commensurate with increase in funding. This agrees with the World Bank report in 2010 that says universities in Africa find it increasingly difficult to maintain adequate student-teacher ratio, lecture halls are overcrowded, buildings fall into disrepair, teaching equipment is not replaced, and investment in research is insufficient. This evidently shows inadequate public financing and resource diversification which at the end results in a deterioration in quality of graduate output. As indicated in this paper, government owned universities have relied too much on their proprietors for funding, the attendant effect being the observed lower unit cost of graduate production, in itself an indirect indicator of production of “low quality graduates” There is thus the need for government owned universities in Nigeria to explore other viable alternative sources of funding in order to rely lesser on the funding from the government which will never be adequate and will possibly be declining if these universities are to produce high quality graduates.